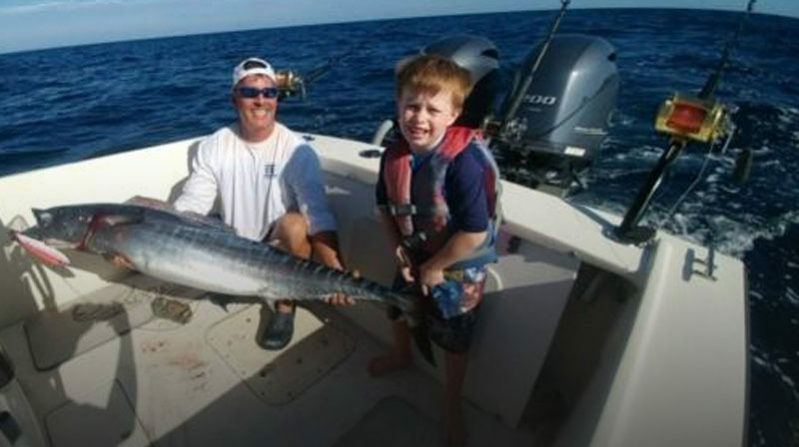 Hi-Tech Marine, Inc., has been providing the finest aluminum trailers for the boating industry for over 20 years. Founded in 1995 by Brad Aufdencamp, his vision, was to manufacture a top quality trailer that he and the consumer would be proud to have under any boat. His vision has become reality and now can see Hi-Tech Marine trailers all over the country. In our manufacturing plant located in Panama City, Florida, Hi-Tech Marine trailers are made with the consumer in mind. Hi-Tech Marine has never sacrificed quality for profit. Hi-Tech Marine trailers come standard with features that other trailer manufactures have as optional or upgraded equipment. 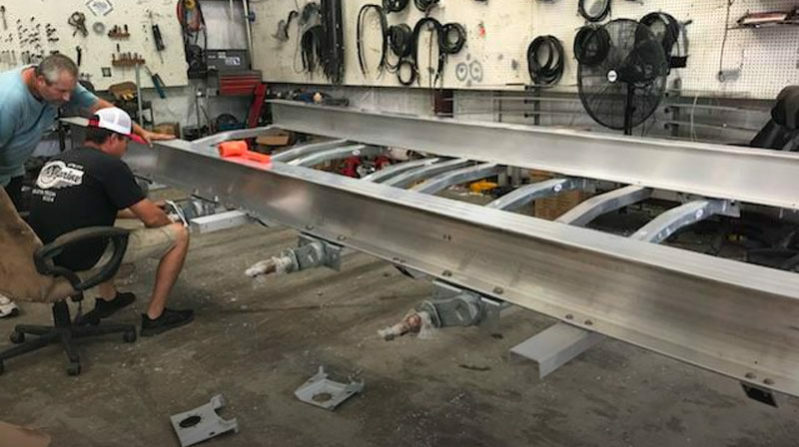 Every Hi-Tech Marine trailer comes standard with all aluminum I-beam construction, torsion axles, stainless steel hardware, and carpeted cypress running boards. Hi-Tech Marine also offers optional equipment and features that can make the consumer’s trailer really stand out above all the rest. LED lighting packages, aluminum wheels, and other accessories can make a trailer a one-of-a-kind masterpiece. 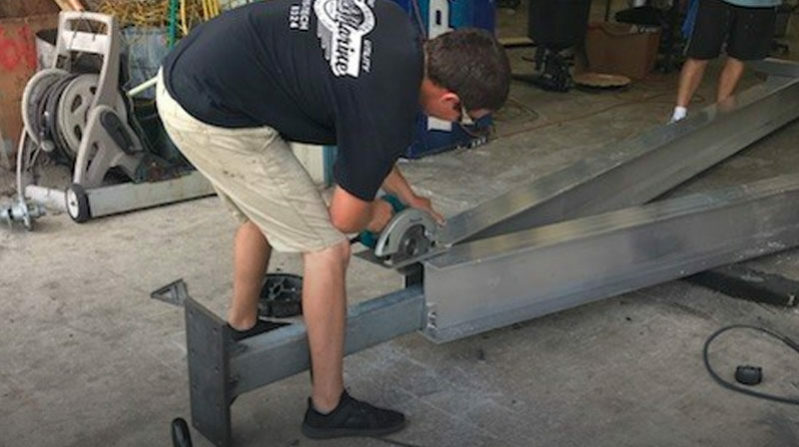 Hi-Tech Marine is not only a leading manufacturer of top quality aluminum boat trailers but we are a full service facility offering trailer parts and service, along with custom trailer manufacturing. Hi-Tech Marine has manufactured aluminum double-decker transport trailers, utility trailers, and specialty trailers for the Government. With its low maintenance, consumer friendly features, and eye-catching appeal, a Hi-Tech Marine trailer is the right look and investment for you and your boat.